Following our week of writings on Allison Joseph, we are devoting a series of blog entries this week to poet and scholar Evie Shockley. 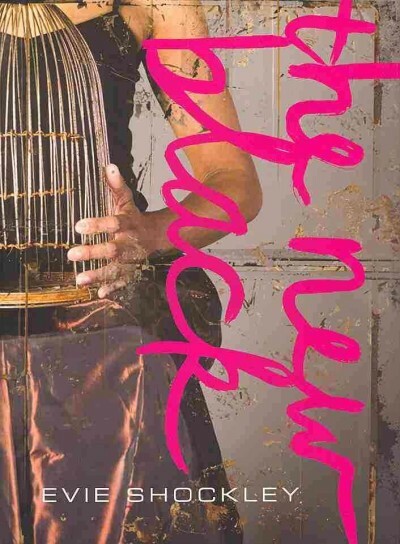 I've been reading and writing about Evie's most recent volume the new black for a number of months now, trying to develop a notebook on her work. I'm still making new discoveries about her work, but I have recognized a few distinct qualities in book and writing style. For one, her knowledge of the tradition of African American literature is often apparent in her poetry as we sometimes see direct references to a range of literary and cultural texts. Evie is in fact a scholar and professor of literature at Rutgers University. Consequently, there's a self-awareness about black literature and African American cultural studies that permeate her work. Evie also demonstrates an interest in visual aesthetics in her poems. She ventures well beyond the left margin at times arranging her words in different ways across the page. In some instances, she even presents the words of her poems in ways that correspond to particular shapes. Her words in the poem "x marks the spot"," for example, are arranged in the shape of a large X. This week, my crew and I will take a look at some of the poems in the new black as we continue developing our notebook on the poetry of Evie Shockley.